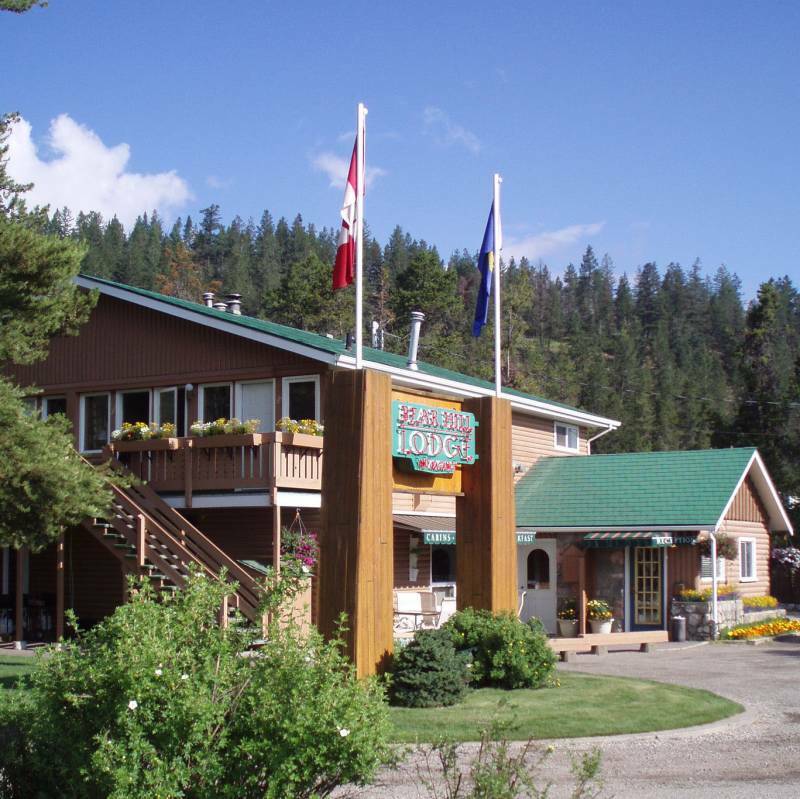 Situated in a quiet corner of Jasper town within easy walking distance of Jasper’s downtown shops and restaurant, the Bear Hill Lodge is a variety of rustic accommodations include heritage log bungalows, roomy modern suites and smaller forest cottages spread over a 2-acre site. There is plenty of space for picnics and barbecues and the main lodge houses a breakfast room. 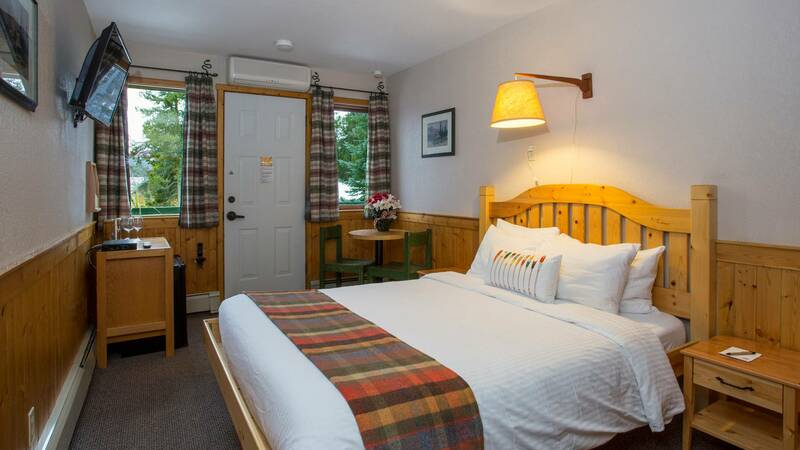 All rooms have a full bath with tub and shower and coffee maker with coffee supplied. Kitchen units have a small fridge, a full range and a microwave, as well as a table or breakfast bar to seat up to four. Kitchenettes have a two-burner cooktop (no oven), a small fridge, a microwave and a table to seat two. 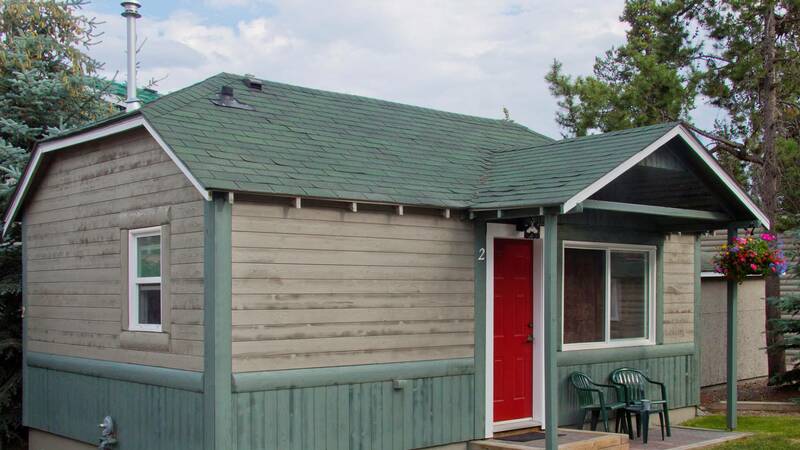 Both are fully equipped with dishes and utensils, pots and pans, toaster, teapot, and coffee maker (with coffee). 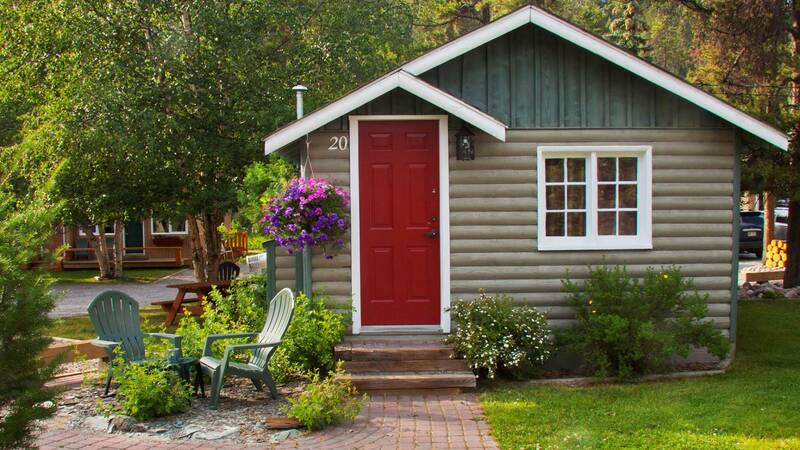 Forest Cottage – this is a cozy cabin in a duplex arrangement. 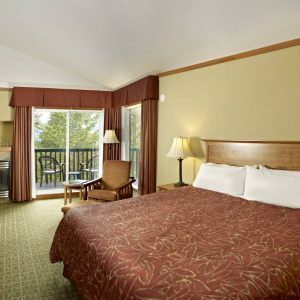 It features one double and one single bed, a full bath, table and two chairs and gas fireplace in the corner. It’s not large, but it’s suitable for two guests for a couple of nights – this room includes breakfast. 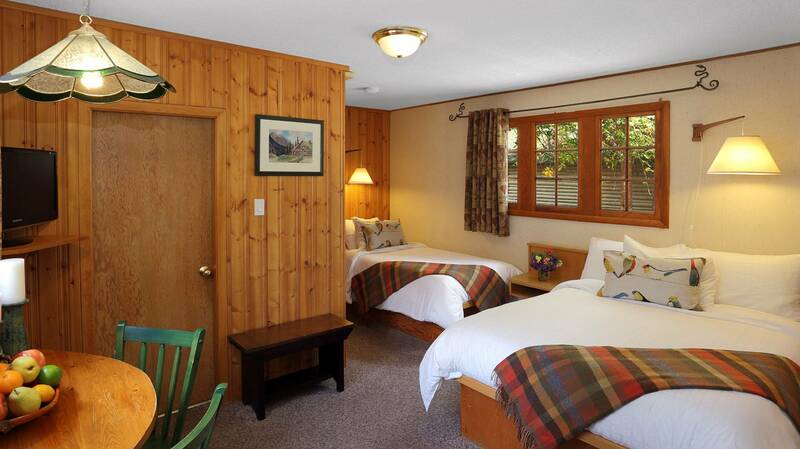 Chalet Studio – this is a spacious room with an open plan and a secluded, forest view. It offers one queen bed and an extra-long single daybed, as well as a pullout hide-a-bed. There’s a fully equipped kitchen, a large sitting area in front of a wood burning fireplace, full bath and a private verandah. Simple, unassuming and affordable in a very convenient position.